Not many pictures tonight, but I did get the tank matchdrilled. Of course, once I placed the order, I remembered that I buggered up the inboardmost rib of the right leading edge and needed a new one. I need to remember to order that one, and BEG Van’s to send it in the same shipment. Anyway, I weighed the pros and cons, and came to the conclusion that the aesthetics of not having a single tank for aerobatics, and therefore a checklist item or a special placard, outweighed the possibility that after 10 years, my tube wouldn’t flop as floppily as it did when it was young. Every couple years, I’ll open up the tanks and verify adequate flopitude. They are only $38, so it’s probably worth replacing them every 5 years anyway. So, now that I’ve settled on duel flopicity, let’s get back to building. I decided while matchdirlling, it would be easiest for me to do it while it was on the spar, so up on the spar the tank went. No action shots today, but much cleco-moving. 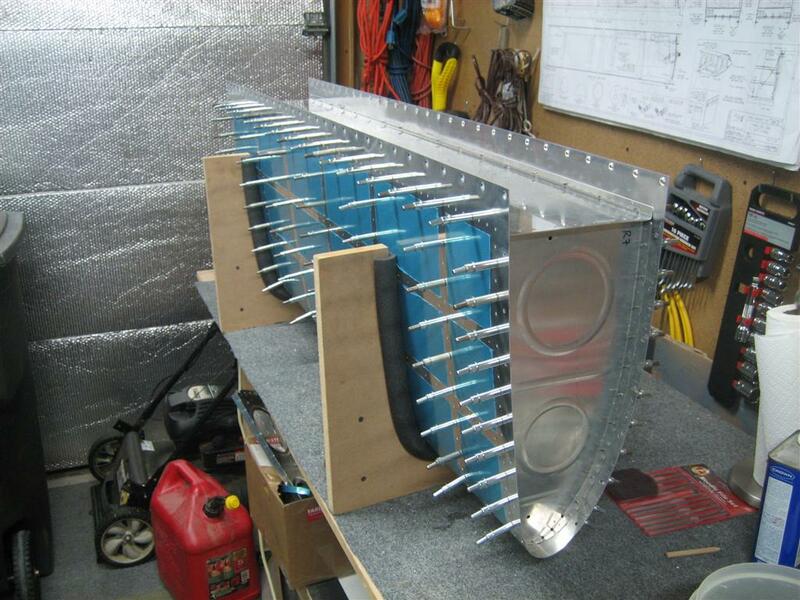 Back off the spar for baffle drilling. 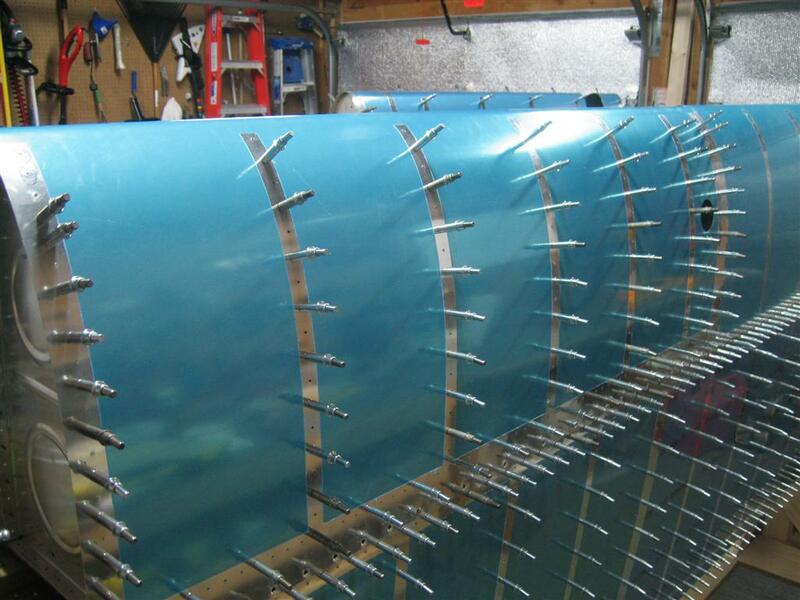 Next up is fuel tank stiffeners, then a lot of prep before assembly of the fuel tanks. This entry was posted on Thursday, May 26th, 2011 at 7:00 am and is filed under Empennage. You can follow any responses to this entry through the RSS 2.0 feed. You can leave a response, or trackback from your own site.